It’s not so much that we are doing a lot of reading this week in particular, but that cumulatively by now, in both classes, we have done a lot of reading. I like this middle phase of term: the logistical confusion of the first couple of weeks is behind us, the frameworks for our class discussions have been established, we have a body of completed work to lean on (bounce off?) as we move along — and the end of term is still far enough away that we aren’t distracted by planning for it. In what ecstasy of unhappiness I got these broken words out of myself, I don’t know. The rhapsody welled up within me, like blood from an inward wound, and gushed out. I held her hand to my lips some lingering moments, and so I left her. But ever afterwards, I remembered — and soon afterwards with stronger reason — that while Estella looked at me merely with incredulous wonder, the spectral figure of Miss Havisham, her hand still covering her heart, seemed all resolved into a ghastly stare of pity and remorse. I know some people recoil from Dickens’s rhetorical excesses and emotional manipulation, and when my defenses are up I can feel the same impatience. But he’s also better than any other novelist I know at ripping the bandage off our wounded humanity and creating moments as morally thrilling as this one. There’s also something fantastic (in both senses of that word) about just how fearless his language and his stories are: his relish for both is practically tangible. Much is taken from us as we pass out of childhood, but other human beings who have suffered these losses have created great works of art, works that can only be truly appreciated by those who have suffered the same losses in turn. These works are among the great recompenses that experience offers us. One of the things we discussed in our last session on Great Expectations is whether it’s worth having made Pip’s mistakes, having suffered as he suffers, because in the end he is capable of narrating the novel — something Joe, for all his admirable qualities, could never do. Dickens, in other words, has built his own novel around just that trade-off between pleasures that can “easily be enjoyed by a child” and hard-won moral and literary maturity. I’m not necessarily disagreeing with Beha’s commentary on James (though I’m on record as not finding James that pleasurable to read — for me, he’s more on the mortgage-payment side of adulthood): I’ve just been thinking Dickens has a more interesting role to play in this conversation than he is usually given (in Beha’s essay, a passing reference to him as someone who wrote “inviting, event-packed novels”). 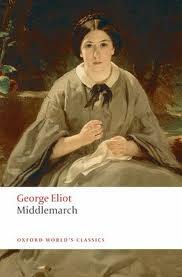 Next up for us in this class: Middlemarch. As you can imagine, I’m looking forward to this! I’ve spent a lot of time in the last couple of years thinking and talking about Middlemarch, but I haven’t actually reread it patiently for a while. 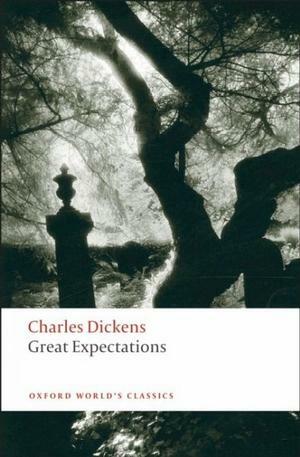 I started on it this morning while the class was writing their short test on Great Expectations, and even as I winced watching Dorothea be so, so wrong, I was reminded all over again how funny the first few chapters are. In Mystery and Detective Fiction we’ve wrapped up not only The Moonstone but Sherlock Holmes and a sampler of other great detectives as well (we read one story each by G. K Chesterton, R. Austen Freeman, and Jacques Futrelle). Today we started our discussion of Agatha Christie’s The Murder of Roger Ackroyd. I enjoy using Christie to spark discussion about canonicity: I point out that despite being possibly the best-selling novelist of all time, she has no literary standing compared to her contemporaries Henry James, Virginia Woolf or James Joyce, which gives me a chance to suggest that modernism set a lot of the terms for discussions of literary merit that we now often take for granted. This means talking about things like linguistic or syntactical difficulty, which on the face of it, Christie is having none of: her prose is remarkably lucid. Next time, though, when all is known, we’ll go over just how tricky she actually is — telling us everything while keeping everything from us. Is this its own kind of difficulty, or is it just trickery, and if so, is that somehow a lower order of skill? To some extent I am playing devil’s advocate in asking why she should be taken any less seriously than Woolf: for me, conversation about Christie flags pretty quickly once the game is played out, and for my money there are other mystery novelists who are a lot more interesting to think about. But she’s excellent of her kind, and I think it’s worth provoking a conversation about whether it makes sense to value some kinds more than others. This is the “genre fiction” version of the YA debates, of course. Once we wrap up Ackroyd, it’s midterm time in this class, and then we turn to Hammett and Chandler. Now, without further delay, I will be following your suggested lead: I return to Dickens for a bit of fun and games (and adult reading). Here is a simple — perhaps annoying — question: Why Villette rather than either of the more widely known titles by the Bronte sisters — Jane Eyre or Wuthering Heights? I’m just curious. I would think students would be more responsive to the better known novels. And if they have not yet read them, they would need to do so, so why not in your course? I apologize if my questions are too irksome? Not annoying and easily answered, really: variety! I have assigned Jane Eyre many, many times and I wanted a change. Plus, of course, Villette is a fabulously interesting novel. I don’t think I have ever included Wuthering Heights in this class but The Tenant of Wildfell Hall is another favorite — including with students. It really is not a question of their “needing” to read any particular novel, and in fact JE and WH are the ones they are more likely to have read in high school, intro, or a survey course. The Tenant of Wildfell Hall is one of the most disappointing reading experiences of my life, I’m sad to say. It opens so brilliantly–there’s so much intrigue and mystery–and then . . . it’s a temperance novel. Of course, I read it almost twenty years ago, so maybe I would find more in it now? Speaking of Roger Ackroyd, have you read Pierre Bayard’s playful, ridiculous Who Killed Roger Ackroyd? The Mystery Behind the Agatha Christie Mystery? It’s utterly silly: a close reading of the book that reveals that Poirot–and thus Christie–is wrong. (Which, if you know the novel, is jaw-dropping in its audacity.) What’s particularly fun is that, barring one minor little leap, the argument is solid, if not wholly convincing. I could imagine it might be a lot of fun to throw into a course like this. Bayard’s “Sherlock Holmes Was Wrong”, about Hound of the Baskervilles, is similarly fun (although I think the argument is slightly more far-fetched, but so is the book for that matter). I have never been happy with Virginia Woolf’s “grown ups” crack about Middlemarch. Dickens and for that matter Lewis Carroll are as grown up as a reader wants them to be. Beha’s credibility took a hit for me when he referred to the The Europeans as “great” and constructed with “obvious care,” when the book is in fact trivial, dashed off, and as well suited for the young teens of its time as the books he complains about are suited for ours. Oh, how I love the ways the conversation threads on your blog serve such a wonderful purpose. I can always make better decisions about what is added and what is subtracted from my TBR pile of books. Based on the current thread, at this point, Dickens and Christie are on the TBR pile. The Europeans has been moved into the recycle pile. Villette is added. The Tenant of Wildfell Hall is in the “maybe” pile. Meanwhile, Pip’s adventures are first-class entertainment (again). I wonder why Dickens so often gets a bad rap. No, he isn’t George Eliot, Henry James, Virginia Woolf, or James Joyce, but he is so much damned fun to read (most of the time).